Introducing The Golden Retriever Husky Mix! What do you get when you mix two dogs known for their looks? 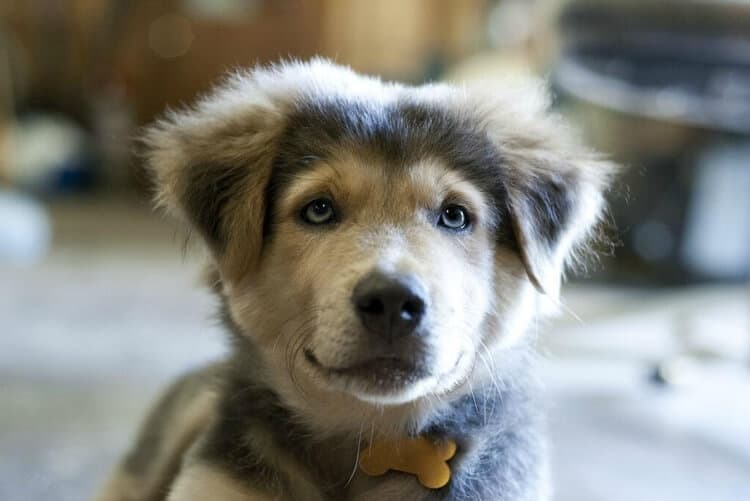 The Golden Retriever Husky Mix! As the name suggests, the Golden Retriever Husky Mix is a designer dog that has one Golden Retriever parent and one Husky for a parent. As you may already know, with mixed breed dogs, we can only make predictions about their health concerns, behavior, and appearance, since everything depends on how their genes are expressed. With that out of the way, let me introduce you to the beautiful and cheerful Golden Retriever Husky Mix! In this blog post, I’ll go through this dog’s origin, basic temperament, grooming, and more. I have divided this section into a few different subtopics so to make it easier to look for information. In this section of the article, I’ll go over a few things like the aliases, the expression of genes, and the basic looks of the Golden Retriever Husky Mix. The Various Names That The Golden Retriever Husky Mix Is Called! When two different breeds come together, people up with some unique names to call the breed—but they all refer to the same dog! Let’s look at some of the common nicknames given to the Golden Retriever Husky Mix. The Goberian is a designer breed which means that this breed of dogs isn’t officially recognized by any of the kennel clubs or bodies. But, this doesn’t mean that it isn’t a popular one! As for the parents, they are an extremely popular breeds in America and are common household names. In this section, I’ll very briefly touch the subject of the Golden Retriever Husky Mix’ parentage. You must be wondering why I’m going through this. The thing with mixed breed or designer dogs is that you really can’t predict how they’d turn out to be. So, in order to make your predictions a little better, you need to learn more about their parents. Which, in this case, are the Golden Retriever and the Husky. The Golden Retriever is a friendly and energetic large size hunting dog known for its beautiful and long Golden coat. This breed is loving, loyal, friendly and adjusts well with kids and other animals. You can read more about Golden Retrievers (and the pups!) over here! The Husky is a medium-sized working dog breed that finds its roots in the Spitz dog family. This dog is known for its beautiful eyes and stunning looks. This dog is known to be outgoing, intelligent, and an alert one. The physical appearance of the Golden Retriever Husky Mix depends upon the way his genes are expressed. This simply means that while one pup may look and act an awful like the Golden Retriever, the other may look like the Husky. From what I’ve seen, I feel that the Golden Retriever Husky Mix looks like a beautiful mixture of both its parents. I feel that the dog gets its coloring and coat from its Husky parent, while they face looks more like the Retriever. What do you think? Let me know in the comments section! Golden Retrievers have a long and thick coat while the Husky has a medium sized coat and minimal shedding. Now, chances are that the dog will have a coat closer to that of a Husky, but it is too hard to say anything definitely. A Golden Retriever Husky Mix will definitely require some regular brushing and grooming. One thing that dogs usually have are extremely long and strong nails! So, I would advise you start grinding your dog’s nails as soon as you can. I have written about the need of nail grinding and the best nail grinders available in the market over here. I recommend the Petter Pet Grooming Brush and thenofollow Hertzko Self Cleaning Slicker Brush if you’re looking for a good dog brush. In this section of the article, I’d like to go through the basic temperament of the Golden Retriever Husky Mix. Like I’ve said earlier in this blog post, we can’t be 100% sure about anything when it comes to designer or mixed breed dogs. So, take what I write with a grain of salt. The Golden Retriever Husky Mix is an extremely intelligent little doggy. Intelligence runs in this doggy’s blood since both of its parents are known for this trait. So, I can assure you that this dog will be very easy to train and will catch onto things easily! Golden Retrievers are especially known to be extremely friendly dogs and this is one of the traits that the Golden Retriever Husky Mix has inherited from that side of its family. So, you shouldn’t worry too much about bringing your friends and extended family over at your place! This dog is amazing with small kids and families! I find that the Golden Retriever Husky Mix does amazingly well with families and little children—something they’re inherited from the Golden Retriever side of the family. If you know anything about this dog’s parents breed, you know that they are as affectionate as a dog could be. And this, I feel, is one of the best traits a dog can have. The Golden Retriever Husky Mix is an extremely social animal who loves getting love and affection. The thing that I like about social dogs is that they’re great with other animals and will make an amazing addition to your family if you have other pet animals. The German Shepherd Rottweiler mix is a very devoted and loving dog and that tries to please its master. The Golden Retriever Husky Mix is a really patient kind of a dog—a trait loved and appreciated by all! I hope that I have explained all these behavior traits to you in simple words. Now, let’s talk about food and nutrition, shall we? Since the Golden Retriever Husky Mix is a designer breed, you really cannot find breed specific dog food for this doggy. The nutritional requirements of a Golden Retriever Husky mix are similar to those of the Golden Retriever. You can check out some of the best dog food for Golden Retrievers to feed your puppy friend! But, there’s a thing you should keep in mind! I would encourage you to consult a vet for a good diet plan for your dog because they will be able to guide you better about your dog’s nutritional needs, health concerns, and sensitivities. I recommend the Blue Wilderness Buffalo High Protein dog food as well as the Wellness Grain Natural dog food for your furry companion. Every breed of dogs is genetically more prone to certain health conditions. And that is exactly what I want to go through in this section of the blog. So, let’s take a look at some of the health problems a Golden Retriever Husky Mix can face in his lifetime. As you may know, cancer in canines is actually the leading cause of death in dogs aged above 10 years! And, the Golden Retriever Husky Mix’ genes make him more prone to getting cancer. So, don’t ignore any signs of sickness! Golden Retriever Husky Mix is also prone to getting eye diseases such as cherry eye, conjunctivitis, dry eyes, etc. which are thankfully are treatable. Heart diseases in dogs include asymmetric heartbeat, and other treatable as well as curable conditions. So, keep an eye on your doggy! Golden Retriever Husky Mix has certainly gotten the best of both worlds! This is a loving, affectionate, and a good looking dog who always wants to keep his master happy. But, as is the case with almost all of the designer dogs, you can’t really make a lot of accurate predictions about the Golden Retriever Husky mix’s appearance, behavior, etc. Leave comments if you have any questions (or suggestions)! I am looking forward to reading them! Liked this article? Share it with your friends!